Serious Sam Double D XXL releases February 20th on Xbox LIVE Arcade! Here's my first video which details weapons from the game, showing good gameplay uses for all the crazy gun abilities. There are 32 different gun upgrades in the game and each video will show four. This video features two upgrades for the Machine Pistol, and two upgrades for the Shotgun. Enjoy! 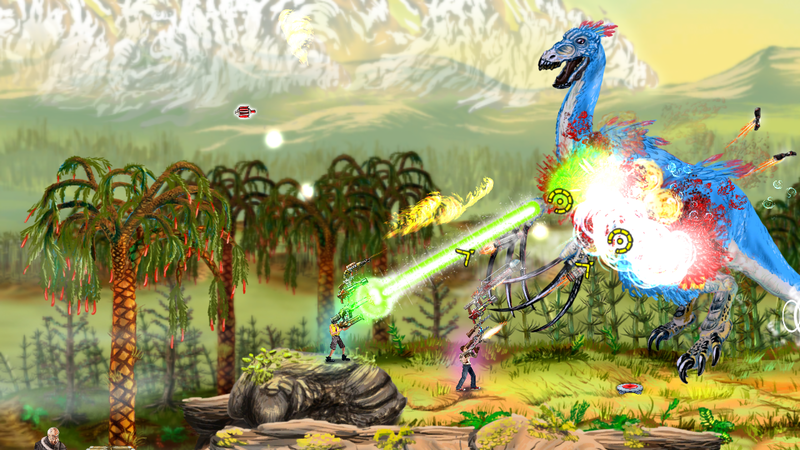 Serious Sam Double D XXL has its official XBLA release date! February 20th for 800 MS Points! Here is a new trailer for the game, featuring Huff. You get to play as him in the 2-player coop! Between here and launch I'm busy putting together more promotional material like a series of videos detailing lots of the guns and the strategic gameplay possible. Look for them soon!